Discussion in 'The Cutting Edge' started by Bill Paxton, May 5, 2017. Here is my entry into this contest. It is a "portable" Gamecube in a 3D printed case with the design heavily influenced, borrowed, and stolen from the GameBoy Advance SP. After many months on hiatus due to issues with a malfunctioning WASP Fusion, it is now complete and back to perfect working order thanks to a generous gift from Aurelio. Thank you again! The case took several months to design from scratch to perfection as well. It is designed to hold a screen, WASP, Gamecube controller board, buttons, memory card, speakers, amp, switching headphone jack, and a GC motherboard without any modification beyond soldering and desoldering. The VGA port on the side is for connecting a memory card to "Slot B" for game save transfers. Should be easy enough to replicate again and again provided one can get their hands on a WASP. I was thinking of selling the files, but I may just release them if enough people are interested. If there are any questions, don't hesitate to ask. And no, there are no batteries, it is powered directly from a stock Gamecube power supply. Edit: Shot a new video with better aspect ratio and less one handed fumbling. Redmagnusx, Mistermark, DeoNaught and 7 others like this. Cool! Got any pics of the inside? Neat! I love how much it resembles the stock gamecube and gamecube controllers. Hinged designs are always tough, as well as stock gamecube shoulder buttons, so props for getting it working! This design also looks like it was well thought out to make assembly as easy as possible, which is something I can really appreciate in a portable's design. Id love to see some more specs on it like screen size, as well as pictures of internals. Just two at the moment, I'll take more when I'm back home. Pinotte, Noah, jefflongo and 1 other person like this. Wow that's awesome! I love that you kept the gamecube jewel on top, and the gc controller shaped loops around the controls are a really nice design choice. And was that a power saving mode I saw when you flipped the screen down? 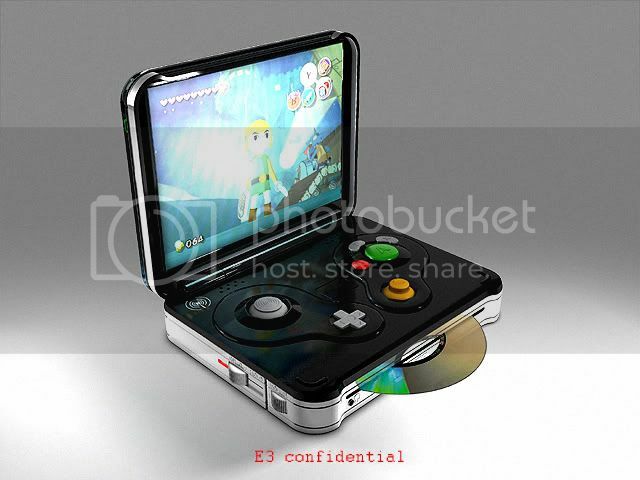 Everything about this is amazing I think this portable really embodies everything awesome about the gamecube. The internal assembly for the triggers sells this for me. Stitches, Bill Paxton, Matando and 1 other person like this. Is that a blue piizza? Anyway looks awesome, glad you were able to finish it! Bill Paxton, Matando and Acronell like this. I wasn't ready for these feels. The case is amazing. Bill Paxton and Stitches like this. This is awesome, very well-organized and solid. It's really nice that you used all the original screw mounts for your parts. That's some really nice attention to detail . I have a healthy obsession with Nintendo. GameCube Advance? Lol how have I never thought of that before? Mindblowing. What an awesome, fresh idea. Not sure if anyone else has done anything similar, but I've never seen anything like it. This is the kind of thing that inspires me to make time for tinkering again. Very well done! Noah Web Developer Staff Member . . .
Wadebrody, Matthew, Bill Paxton and 2 others like this. Compo rules have changed. Builds of this caliber will be denied entry. For reals though, take it easy on the rest of us! Bill Paxton, cheese, Noah and 1 other person like this. Is that where that image came from originally? I dunno. Maybe. I remember it showing up around the time the DS was being introduced. I remember thinking to myself that a Gamecube portable was probably a) impossible and b) would never look anything like that. And then Bill Paxton (loved you in Terminator!) comes along and BAM! I had this design in mind the whole time. I was a young lad when I first saw this picture and was foolish enough to think it was going to be a real thing. It was all I ever wanted. I saw it again about two years ago and decided it was time to make my own, but make it look much more like an SP (My first handheld console) For a while I considered, and even have some unfinished CAD files that included wiring up a Wii disk drive so I could load them into the front like that. It ended up making the bottom way too thick so I canned that idea and went for the WASP. Before finally posting my finished work above, I spent several hours trying to track down the source of this design to give them credit for the inspiration. And again, thank you everyone for all the kind words! fibbef, cheese and Shank like this. Whoa. I have not been coming here often enough. cheese, Aurelio and Noah like this.